Assumption: language “can be acquired through a variety of modalities (sound (speaking), sight (writing), visual motion (signs)). 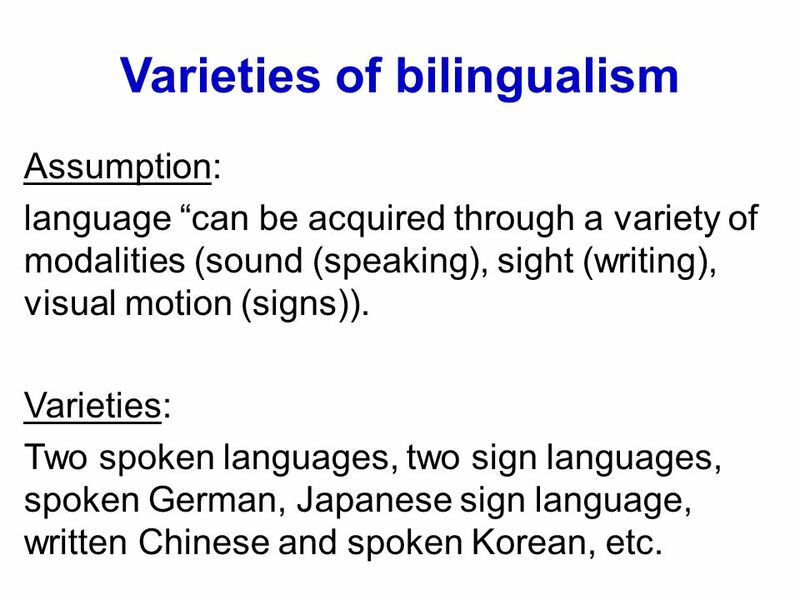 Varieties: Two spoken languages, two sign languages, spoken German, Japanese sign language, written Chinese and spoken Korean, etc. 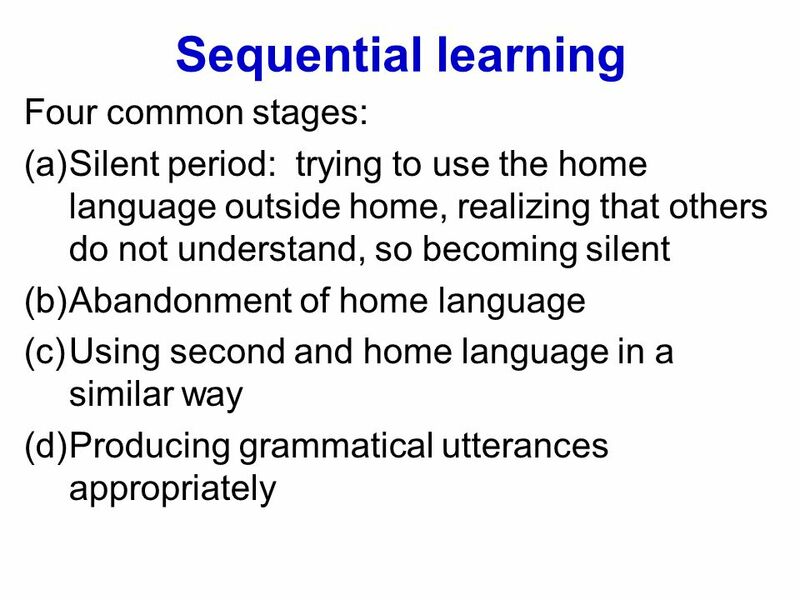 Concern: The learning of the second language would ‘retard’ or negatively influence the learning of the native language. It would intellectually ‘retard the development of thinking and of such cognitive capacities as math and reading. 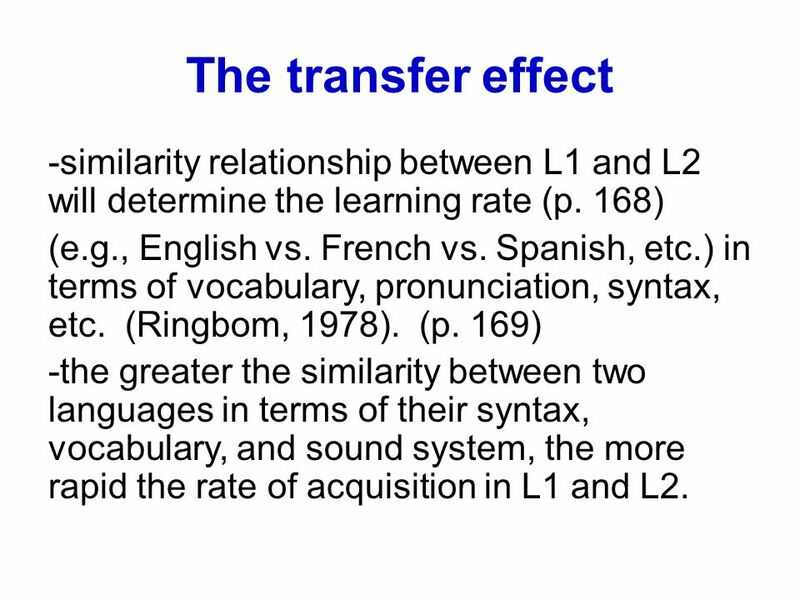 8 The transfer effect -similarity relationship between L1 and L2 will determine the learning rate (p. 168) (e.g., English vs. French vs. Spanish, etc.) in terms of vocabulary, pronunciation, syntax, etc. (Ringbom, 1978). 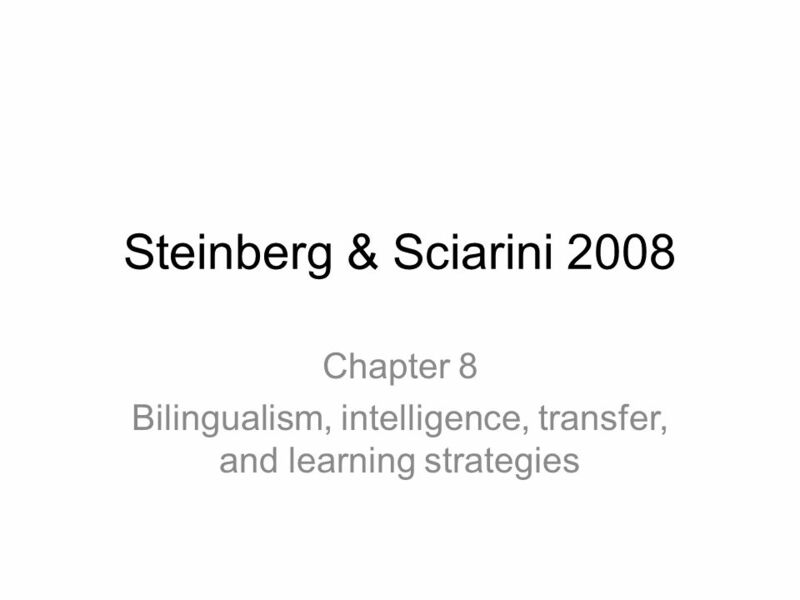 (p. 169) -the greater the similarity between two languages in terms of their syntax, vocabulary, and sound system, the more rapid the rate of acquisition in L1 and L2. 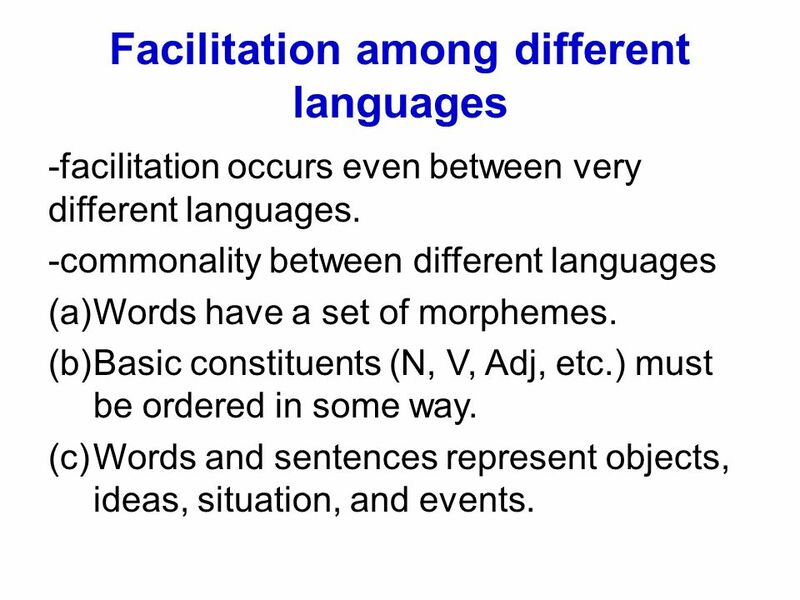 -facilitation occurs even between very different languages. 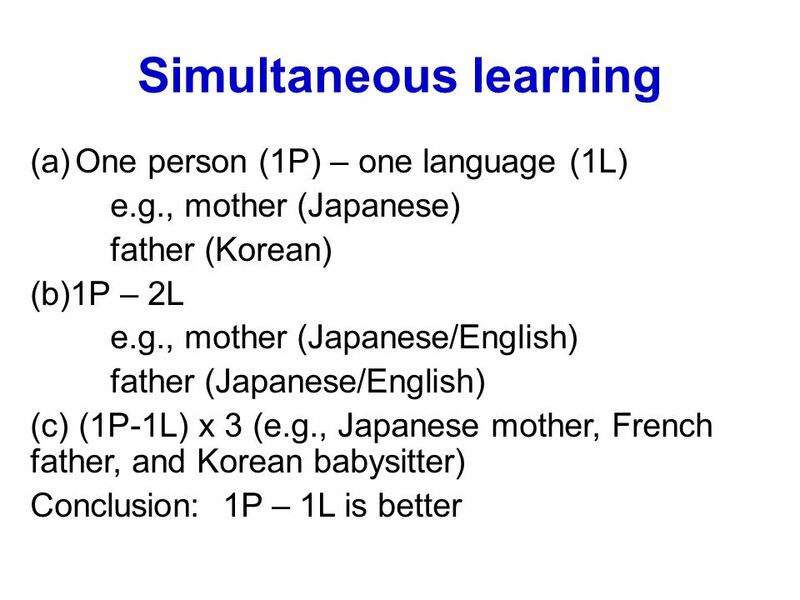 -commonality between different languages Words have a set of morphemes. Basic constituents (N, V, Adj, etc.) must be ordered in some way. Words and sentences represent objects, ideas, situation, and events. 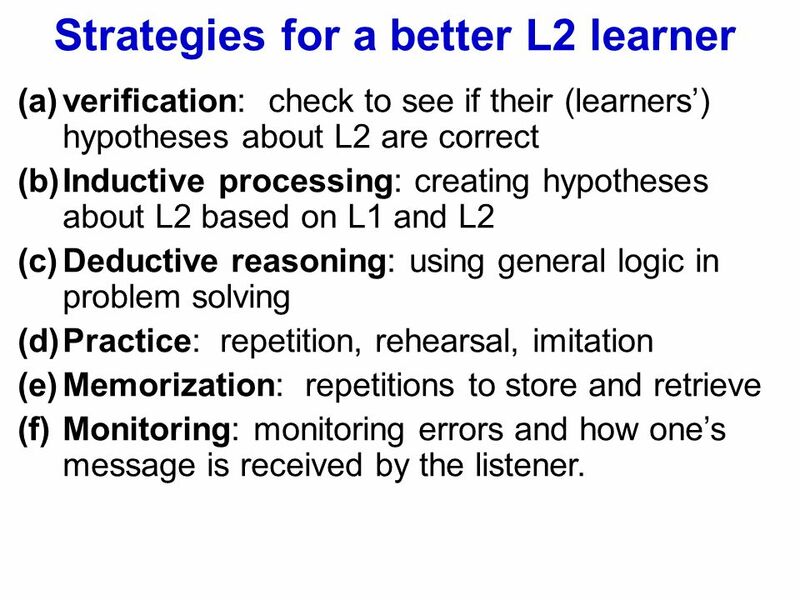 verification: check to see if their (learners’) hypotheses about L2 are correct Inductive processing: creating hypotheses about L2 based on L1 and L2 Deductive reasoning: using general logic in problem solving Practice: repetition, rehearsal, imitation Memorization: repetitions to store and retrieve Monitoring: monitoring errors and how one’s message is received by the listener. Download ppt "Bilingualism, intelligence, transfer, and learning strategies"
Exposure and Focus on Form What is it? Exposure * Children learn language by pick it up from their surroundings automatically. * The main way that children. 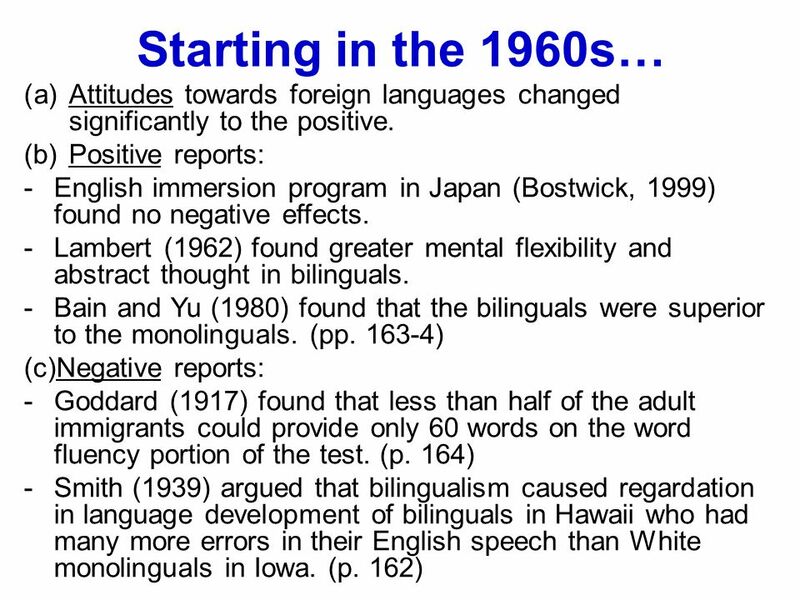 The Role of the First Language. 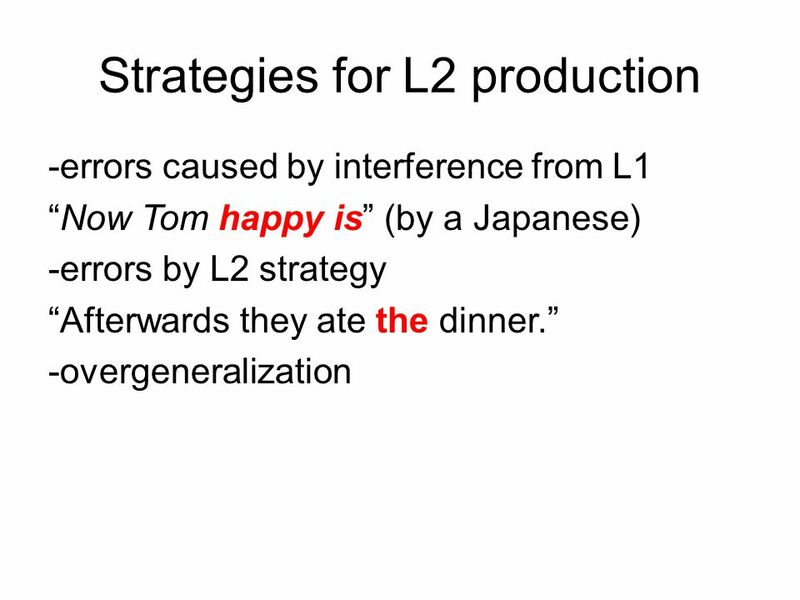 Topics involve *The Contrastive Analysis Hypothesis *Interference and transfer *The examination of CAH *Sources of interlingual. Foreign Language Teaching in the United States Theories from Linguistics By Electra Nicolaysen, English Language Auxiliar, Fernando III El Santo. Rationale for a K-12 World Language Program Foreign Language Department Hamburg Area School District 11/07/05. Carlota Pedreño, Ana Penalva, Tamara Ríos y Carmen Rosique.